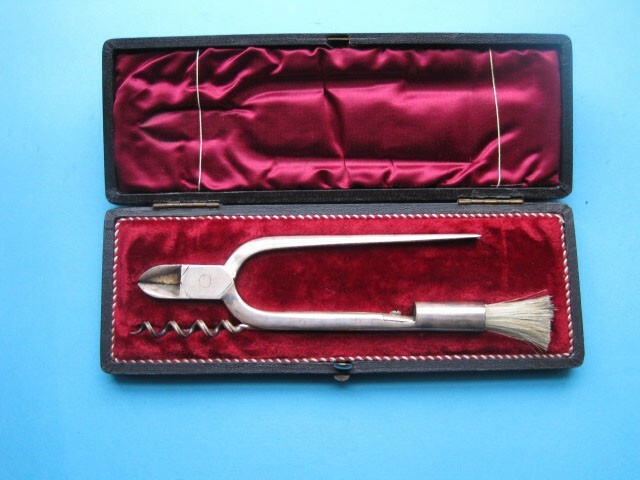 A good champagne snips with corkscrew handsomely cased. Likely 19th century in date and English in origin. $8.00 within the USA and $35.00 outside the USA. The latter can be reduced to $18.00 if the buyer assumes all risk for loss or damage.